Quite tempted to sell both my cars and buy a clean low mileage e46 compact. I love my e36 but its trashed and the interior isnt the best for long journeys. 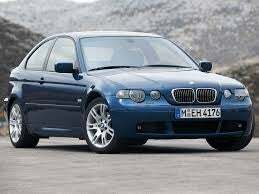 The e46 on the other hand could be a great daily in 318ti form. Also I like the looks, flame suit activated. If I spent some time hunting around I could find a clean 50k mile example (in fact already seen a few low milers advertised) for not that much more than my two cars would sell for. Its either that or start building the e36 up for track days/ drift days and keep the twingo as my DD. This is also a good option, but being a car guy I itch to drive something else from time to time.